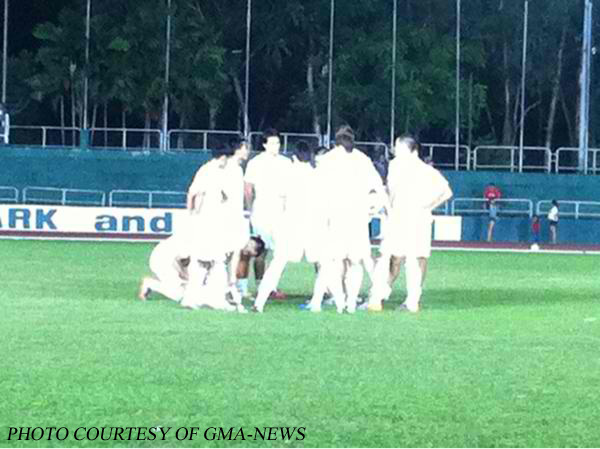 Home / Entertainment / Football / Younghusband and Locsin on Twitterdate? Younghusband and Locsin on Twitterdate? “If she’s interested, then I’m interested,” that was Philly Younghusband responding to a question from Gretchen Fullido via Ted Faylon last night on TV Patrol. Suskupô, just last December, after the Azkals returned home after its semi-finals adventure in the AFF Suzuki Cup, Younghusband was also interviewed on TV Patrol. That time, it was Korina Sanchez who asked if the young Fil-Brit was perhaps interested in a career in the movies. “Ayaw ko!” he replied without hesitation. I was sure Korina was taken aback by the reply; no, not the vehemence of it. Rather, his totally unexpected use of Tagalog. Even I was taken aback; albeit, the surprise was pleasant. For those who do not know, Younghusband – or so TV Patrol reported – asked local moviedom’s Angel Locsin out for a Valentine’s Day date on Twitter, no less. I do not believe you can go anymore public than that. Whatever happened to love notes scribbled on stationeries? The lad is an assassin on the football field; but now looks a hopeless romantic off it. For somebody who – he says – has no plans to go into the movies, the lad is a natural for the industry. It was also reported that he had already publicly admitted admiration for the actress. All this hamming-it-up namby-pamby stuff, it’s the sort of thing that you get so much of in… The Buzzzzzzzzzzz!!! Not that I watch that show, by the way… Napapadaan lang when I channel-hop, so stop giggling. Truth be told, I do not even know who Angel Locsin is. Well, I have heard the name; and somebody at the Information Systems Department, in an attempt to jar my memory, told me she was the girl in that shampoo commercial. Unfortunately, my TV fare practically never varies from ESPN, StarSports, NGC, Fox Crime and Discovery. 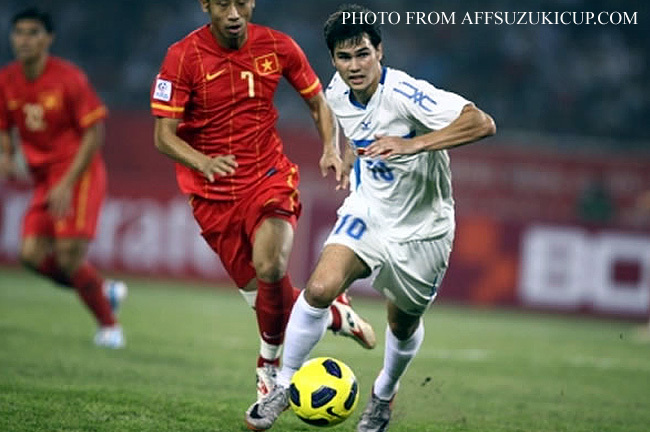 To get back to Philly, his goal in the dying seconds of the match against Mongolia could not have been better timed. Ours – or at least, before the Suzuki Cup last December – is a basketball country. The most common complaint against football in the past was that it took forever to score. Many of those who were watching the Mongolia game at the Panaad, therefore, were experiencing the catharsis of a goal scored for the first time. That is the reason why players gang up on the goalscorer and – in many cultures – why men even temporarily surrender their machismo and peck at the goalscorer’s cheek. The goal releases all the tensions accumulated by collective effort and emotion that it is almost like… Change topic! This is a wholesome blog. Then there were the fireworks… Literally, the fireworks… They exploded into the sultry Bacolod night air after the final whistle. You would have thought that we, the Philippines, had just won the World Cup rather than scraped through against a team of Mongolian goat herdsmen. I am not being sarcastic, honest! I was as much in a celebratory mood as the rest of the country. Brilliant! Absolutely brilliant! I did say in another story that the current successes of the national football team are still at the superficial level. We cannot be scouring every nook and cranny of the globe every time we need to put together a football team for players with Filipino parentage. So, I thought that whatever successes we continue to have with the current squad need to be milked for marketing value no matter how humble so that interest may be sustained. This, thankfully, seems to be exactly what is happening thanks to some very smart people who are currently in charge of managing the fortunes of the national team. The end result, I hasten to reiterate, must be a sustainable grassroots program and a national professional league. The Filipino Diaspora, while it is playing its part in the surge of football in this country, is not the long-term solution to the task of turning this country into a respectable football nation. That said, where would Philippine football be without youngsters like the Younghusbands, Etheridge and de Jong committing to the country? The Younghusbands, in particular, are pouring so much effort into developing the sport in this country. For those who do not know, they have started a development academy and are working closely with educators to expand the base of players. James – the older of the two – is not as publicly visible as Phil. The latter is charming to the public and tweets “good morning” and “good night” to the fans on Twitter, apologizes for not replying in certain instances and never fails to thank the public for anything he thinks they are worth thanking them for. Here’s hoping that all the attention will actually lead to more young Filipino boys taking up the sport, more competitions for these boys and, eventually, a national team that can stand on the same level as – say – the Japans and the Koreas of the world. You never can tell. Oh, and since Locsin is an Angel, then she must have a direct line to the Boss above. Go get her Philly!